Now that you know how to list items for sale on eBay, you’re going to want to keep an eye on your listings. 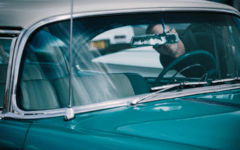 You’re going to want to know things like how many people are bidding on your item up for auction (and how much), when you make a fixed price item sale, and how to make changes to your listing if you need to. This lesson will show you how to do all of that and more. To start managing your selling activity on eBay, go to www.ebay.com in your web browser of choice and log into your account there. Once you’re logged in, move your mouse cursor over My eBay in the top-right corner of the home page. This will make a drop-down menu appear; click Selling when it does. This will take you to a page where you can see a summary of your selling activity. 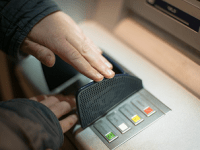 This includes your seller performance level, any monthly selling limits you have on your account, and so on. You can use the “Sell” menu along the left-hand side of the page to view your listings on eBay of various statuses. For example, click Active to see all items that you currently have for sale. You can click on the options across the top of the main box to filter the listings you see by their specific statuses. You can also click the drop-down menu labelled “Format” and select an option to filter your listings based on what selling format you selected for them (see our article on eBay selling formats for more information). Furthermore, you can click the drop-down menu labelled “Sort” in order to re-organize your listings by various criteria (such as listing date, expiry date, price, selling format, quantity, etc.). Further down the page, you can see your actual items for sale, as well as various pieces of information about them. 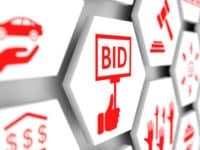 These include: listing titles, listing numbers, listing types, reserve prices (if you’ve set any), any notes that you’ve written, item prices (including highest bids and shipping costs), counts of how many people have looked at/are watching/have bid on your listing, and remaining durations of your listings. Add Note – adds additional information to the listing that only you can see. 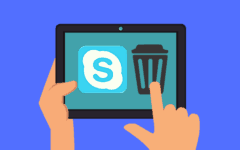 You might use this, for example, to remind yourself that the item needs to be cleaned before you pack it, or that it needs special packaging. Simply type a note of up to 255 characters and then click Save. Edit – allows you to change information on your listing related to your item. 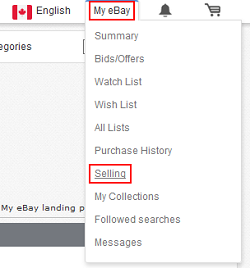 Follow our tutorial on how to list items on eBay (here), beginning at step 5 of the “How to List on eBay” section. Sell Similar – creates a new listing for an item in the same selling category as the one you selected. This time, begin at step 4 in the “How to List on eBay” section of our lesson on how to create listings. Add to List – adds the item to a Watch List or Wish List. End – removes the item from eBay before it sells or its listing duration expires. 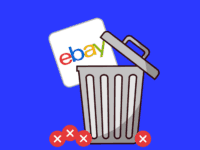 Our lesson on how to delete a listing on eBay explains when you can end a listing, as well as the possible consequences of doing so. If you click Sold under the “Sell” menu, you can see items that you’ve already successfully sold. Some information here is different than in your active listings, such as your item’s listing expiry date being replaced by its date of sale, as well as the addition of a package tracking number (if one is available). One of the most important new things to pay attention to, however, is the set of status icons on the far right side of each listing. Print Shipping Label – allows you to set up and print a free shipping label that you can affix to your package. It also automatically adds a tracking number to your package, too! Add Tracking Number – lets you type in a tracking number for your package if you’ve already printed a shipping label somewhere else (i.e. from a postal service). 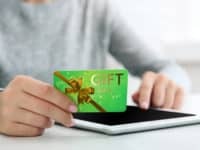 Other actions that you can take include sending invoices for unpaid items to your buyers (which you can group together to offer combined shipping discounts) and changing the transaction status of the item (so that a buyer knows that it has been shipped). 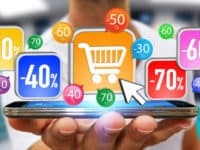 In the event that one of your listings expires without the item being sold – which, unfortunately, can happen – it will end up in the Unsold category of your “Sell” activity menu. Click it to see all of your items that didn’t end up selling. 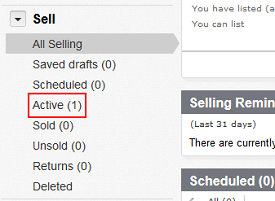 Like with listings of other selling statuses, you can click the check box beside an unsold listing to select it and then click one of the buttons at the top or bottom of the window (or click the More Actions drop-down menu and select an action from there instead) to do something with it. The main function that we’ve pointed out here is the Relist function. This allows you to create another listing that, by default, has the same parameters as the listing you selected. You can, however, edit these parameters as you normally would; we outlined the process for doing so in our lesson on listing items on eBay, starting with step 5 of the “How to List on eBay” section. There! Now you know how to follow and manage your listings on eBay. Next up, we’ll have a lesson on how to control who bids on ­– or buys – your eBay wares. Or, if you’ve already made a sale and are wondering what you should do next, head on over to our tutorial on how to ship on eBay. It will teach you everything you need to consider and do to get your item packaged and ready for its big send-off!